My studio, which is also my office, is my creativity incubator. It is sacred space. It is where I work and therefore, where I am most myself. After the turn of the new year, on the day of the new moon, in fact, I shipped the two paintings that were ready to ship and looked at my list of paintings to be painted. I needed an energy shift. So, I put on some clearing music and got to work. 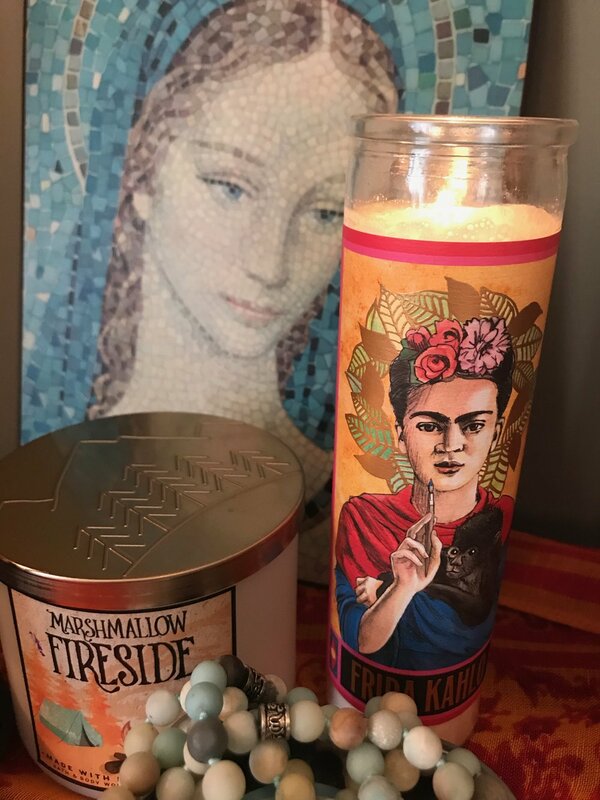 I lit my Frida candle. I cleaned out my paint. You’d think that when I used the last of a tube, I’d throw the tube away, but what I actually do is keep all the empty tubes in case I needed to clip off the ends and dip in a palette knife and scrape out the dregs. I threw all of those out and organized what was left by color. I pulled together all of my pastels and put them on a little dish. I put a new tablecloth on my desk. I cleared my work table of everything that I don’t use on a daily basis. I straightened up my meditation corner. And arranged my altar, which lapis and rainbow moonstone, both gifted to me. And the new icon Tracy gave me for Christmas. I diffused some Harmony oil, which was also a gift from a friend. Then, I lit some sage. 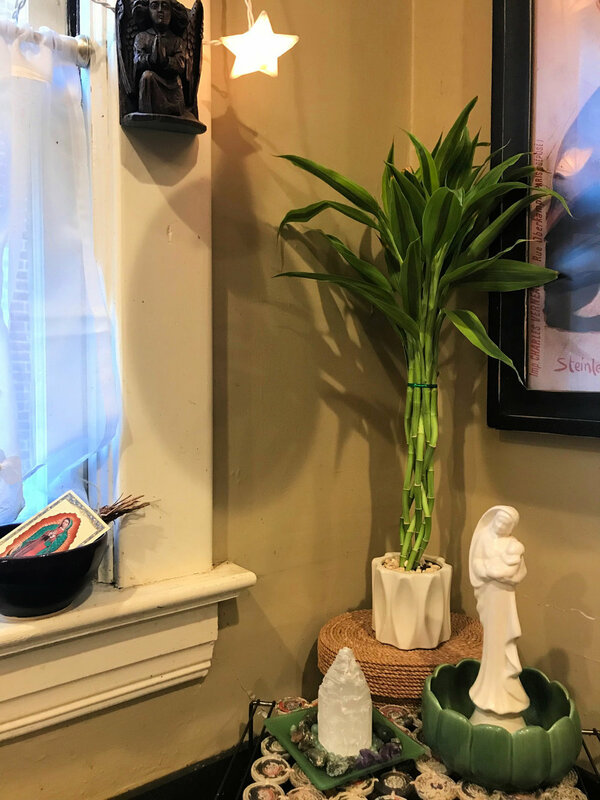 Downstairs, I replaced a tiny Christmas tree with some lucky bamboo in our wealth corner. It always takes me a little while, after the Christmas decorations are put away, to rearrange the house and create an environment that feels like warmth and flow. 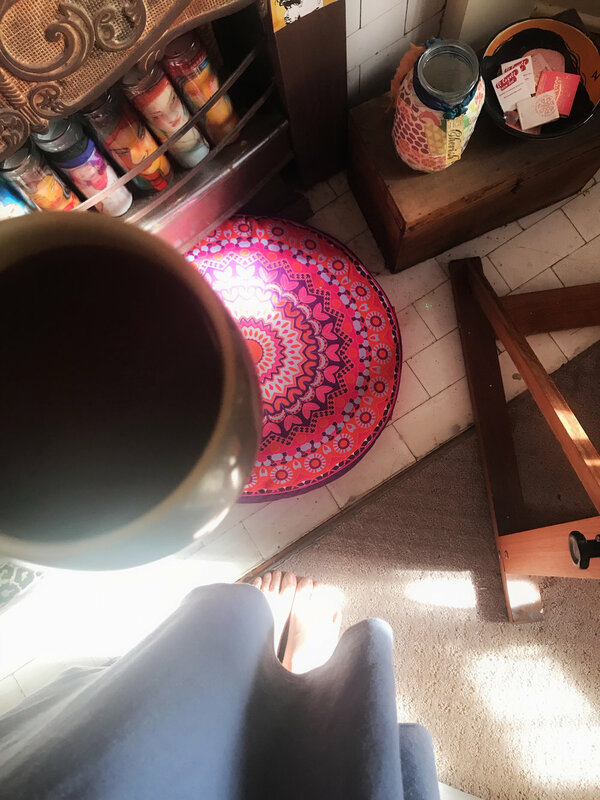 And I need an environment of warmth and flow, and environment that feels like a sanctuary, an harmonious environment, in order to really connect with my work and step into the energy of creation. I don’t feel focused when things are cluttered. 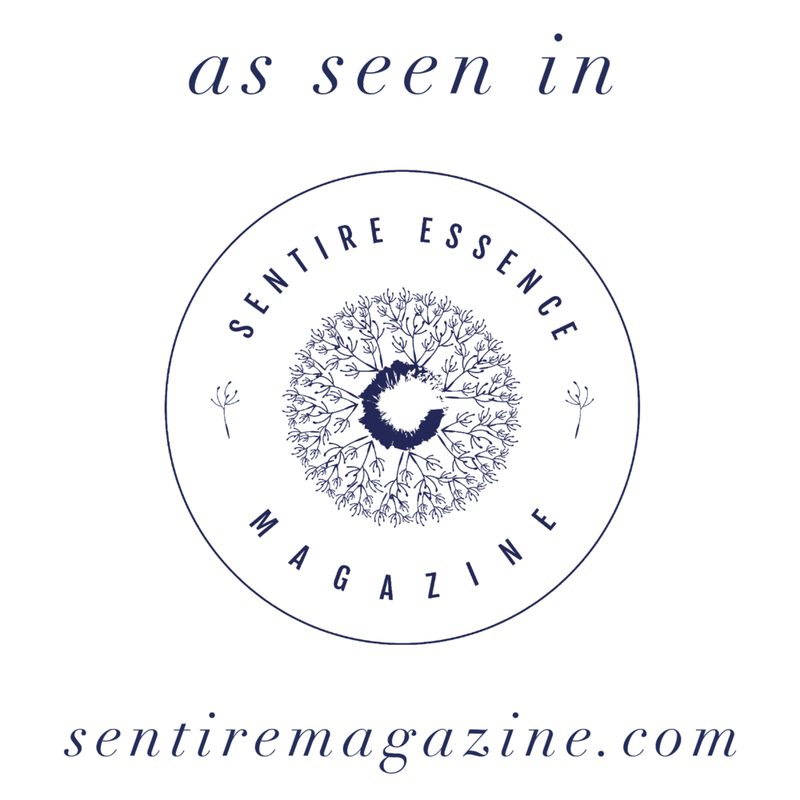 At the end of the day, I need to rest in gentleness and beauty. Many is the time I go to bed with much of the housework undone. …then I can lean into art-making with my whole self. I already feel HARMONY moving through me.